A US military plane air dropped 7 military trucks in a freak accident at a remote rural place in North Carolina, USA. The military plane involved was a Boeing C-17 the largest military aircraft in the world, mostly used for transportation of people and machinery. This was carrying military trucks called ‘Humvee’. 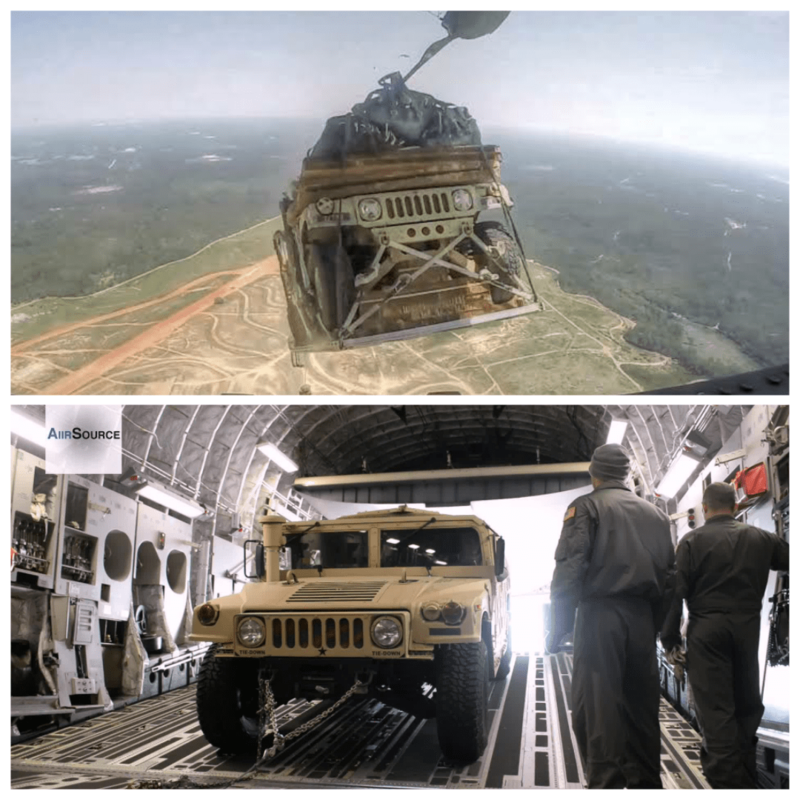 Humvees are armoured light trucks weighing about 7700 pounds and having a payload of 2200 pounds. It can sufficiently carry machine guns and anti – missile launchers at battlefields. These 7 trucks were supposed to be dropped at an airbase but due to human error it was pre- dropped 9 miles. Luckily it fell in a remote area, no injuries or damage were reported. A true event in India’s West Bengal state, district Purulia hundreds of guns and several rounds of ammunition were air dropped. Bollywood movie Jagga Jasoos revolved around this incident. Also at present our civilian airplanes are doing the airdroping. Many commercial flights are emptying their toilets mid air. The aircraft control agency DGCA would do surprise checks and impose fine of Rs. 50,000 if their waste tanks are empty on landing.